Many who have lived in or around Utah for long time will remember ZCMI. For those who are unfamiliar, ZCMI was a regional department store chain that started in Salt Lake City in 1868. The company was eventually sold in 1999 and today the remaining stores have become either Macy’s or Dillard’s. Now for the Lagoon connection. In the 1990s, ZCMI was a sponsor for Lagoon’s entertainment, such as the long-running show, Rock U2 The Top. 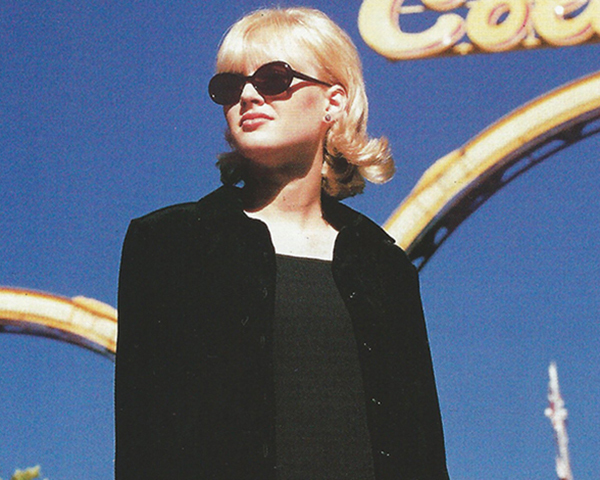 In August 1998, ZCMI mailed out a small catalog to customers featuring back to school fashions in various locations around Lagoon. If you look past the somewhat awkward teenage models, you’ll also see a few things that have changed since that photo shoot two decades ago: Centennial Screamer with its original backdrop, the old ticket booth at the entrance to Colossus and the Skee-Ball games. Expand the viewer below to flip through the catalog. 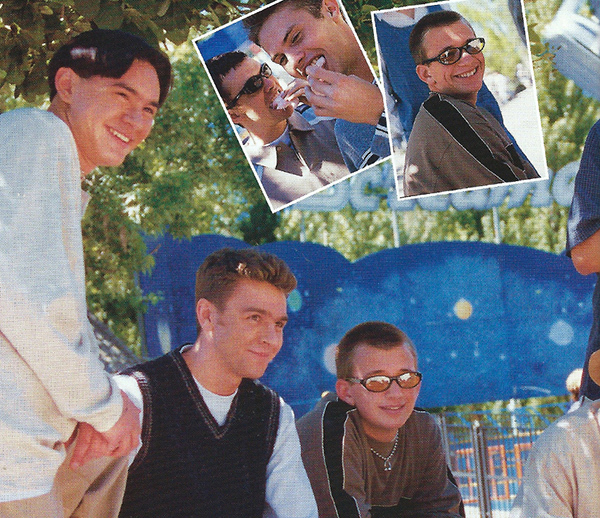 This wasn’t the first fashion shoot ZCMI did at Lagoon. Back in the heyday of the Lagoon Opera House, ZCMI ads appeared in the programs with photos taken at Opera House Square like the ones below from 1978 and 1979. Models show off clothing and portable electronics in Opera House Square, 1978. 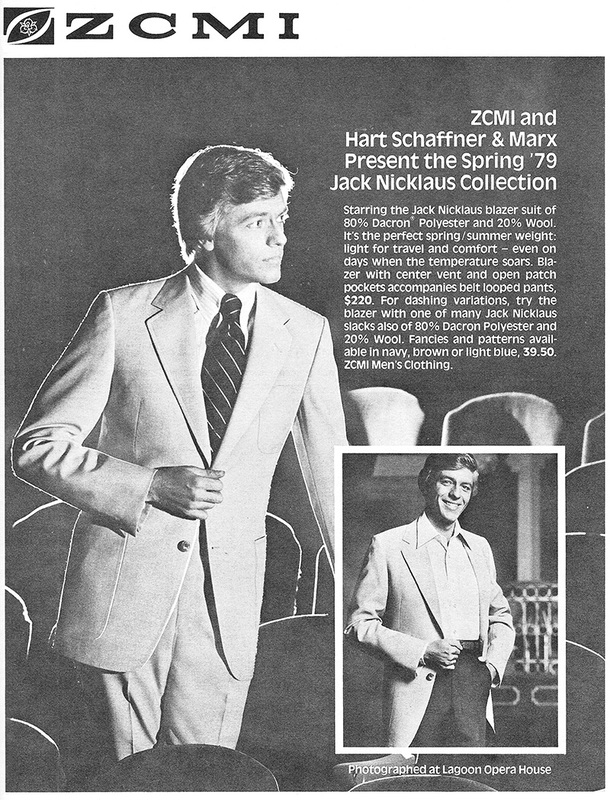 Modeling a suit in the Lagoon Opera House, 1979. Lagoon’s biggest foray into the fashion world was a clothing line sold at J.C. Penney stores in the area during June and July of 1989. Designed by local artist Martin Blundell to help promote the new water park. The line featured swimsuits, sweatshirts and t-shirts that were specifically designed to endure water, sand and sun. They were later made available exclusively at Rad Brad’s Surf Rags at Lagoon with the possibility of expanding outside Utah if it became profitable enough. Previous Post2018 Monthly Recap #4: JulyNext PostLive At Lagoon, 1956!